The Supreme Court’s decision on Monday means prolonged suffering for many refugees approved by the U.S. government to find haven in America. Sadly, people who have suffered trauma, lived in camps for years, and followed all the rules of the U.S. refugee processing system will either not be able to enter for at least another 120 days or have to restart the entire process. Our staff at the International Institute of New England was preparing to welcome and resettle some of these refugees in Boston, Lowell, and Manchester, New Hampshire. The Supreme Court narrowed but did not overturn lower court decisions stopping parts of President Trump’s Executive Order, which sought to ban visa holders from six predominantly Muslim countries from coming to the U.S. for 90 days and suspend the Refugee Resettlement Program for 120 days. The Court did not rule yesterday as to whether the Executive Orders were constitutional or otherwise illegal. 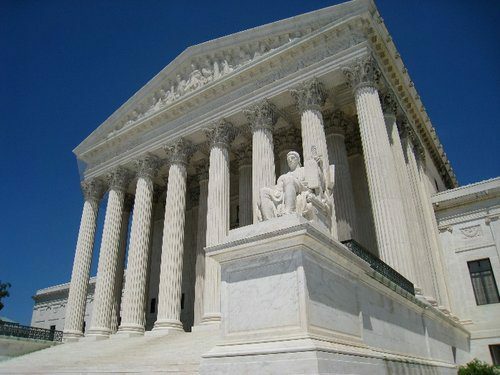 Instead, the Supreme Court said the government may ban refugees and other visa holders with no ties to people or entities in the United States from coming to our country while it rules on the merits of the case. The Court will hear the case in October and rule by the end of 2017. By then, it is quite possible that many matters raised in the appeal will be moot because the bans will have taken place and a new fiscal year will be underway. The Court said that some people, including refugees, may come to the U.S. if they have a “bona fide relationship with a person or entity in the United States.” The Court said this includes people with close family relationships in the U.S., students admitted to a U.S. university, workers who have accepted jobs here, and lecturers invited to speak to U.S. audiences. The dissenters to the unsigned ruling said this compromise will create a lot of litigation because the courts will have to sort out what “bona fide relationships” means. They are probably right. The Court stated that the U.S. may admit more than 50,000 refugees in FY17, the ceiling set by President Trump in his Executive Orders. The criteria for admission of refugees for the next 120 days, however, is that they must have a legitimate connection to persons or entities in the United States. The United States has resettled nearly 49,000 refugees as of today, and because of the Court’s ruling, the country will resettle more than 50,000 refugees by September 30. By the end of this week (June 30), the International Institute of New England expects to have resettled 402 refugees in Massachusetts and New Hampshire, with three months remaining in the fiscal year. Our original target was 623 refugees (we budgeted for 590) by September 30. It is unlikely that we will reach that target. Special Interest Visa holders (SIVs) and any refugee with family and personal connections to anyone living in the U.S. will be able to come to Boston, Lowell, or Manchester. We expect to see primarily U.S. “tie” cases between now and September 30. We are just three months away from a new fiscal year, and by law, President Trump must issue a determination letter on or before October 1, indicating how many refugees the country will admit in FY18. Earlier this month I was in Washington, DC with leaders of resettlement agencies around the country lobbying members of Congress to urge the President to admit 75,000 refugees. We will know in a few months how many refugees our agency will serve in the coming fiscal year. The number of refugees we contract for impacts our budget, planning, and programs for FY18 (which begins for us on October 1, 2017). Our work will continue, and our job remains to keep serving the people in our care. We will help every refugee assigned to us and expand our efforts to serve a broad range of early status immigrants in Massachusetts and New Hampshire. We just received word that IINE-Manchester will receive a multi-year, multi-million dollar grant from the state of New Hampshire to expand English, Skills Training and Civics Training programs. We will look for other ways to expand programs for new Americans in our three sites. While there is some sadness in yesterday’s ruling for us and for many of our clients, we are not discouraged. The International Institute has been serving new Americans since 1919; this is the not the first time we have confronted anti-refugee and anti-immigrant feelings. Our clients need IINE to continue to support them in all the ways we have promised; and we rely on the support of our volunteers, donors, and community partners to continue to do so.